James Tynion IV is a name that became known in the last few years among Batman fans. The writer created some great stories and brought back to Gotham City characters we all love and were ignored by DC Comics. 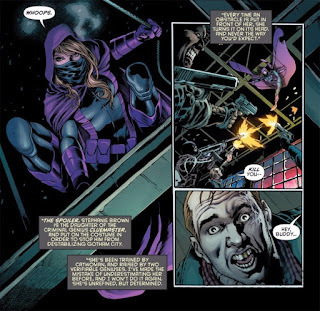 Spoiler, Cassandra Cain and Azrael are a few examples. Also, Tynion IV know how to write for the younger crowds in a entertaining way and understands every character should have its spotlight moment. Batman & Robin Eternal is proof of what I say, but if you need anything else to confirm it just read The Woods. What I mean is that there's no more qualified writer for this new phase Detective Comics is going through. There's a villain in Gotham observing and analyzing the vigilantes. His identity is still a mystery, but Batman feels the growing need to prepare the new generation for what's coming next. However, Batman understands he has a lot of work on his shoulder and he needs a partner. Not a sidekick, a partner. And that's when he decides to look for the help of his cousin Kate Kane, the Batwoman. New 52 failed at presenting Batman and Batwoman as a team, showing they could work together. Bruce, for example, never even came out as Batman to her. 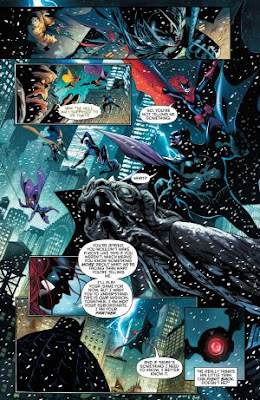 That was maybe one of the reason the Batwoman title was cancelled, but I can say that it takes only one page for Tynion IV to correct all these mistakes and have the Dark Knight apologizing. The whole issue is not focused in who the villain is, this is for the future. This issue deals with the new Bat-team. And, boy, was I happy about it! 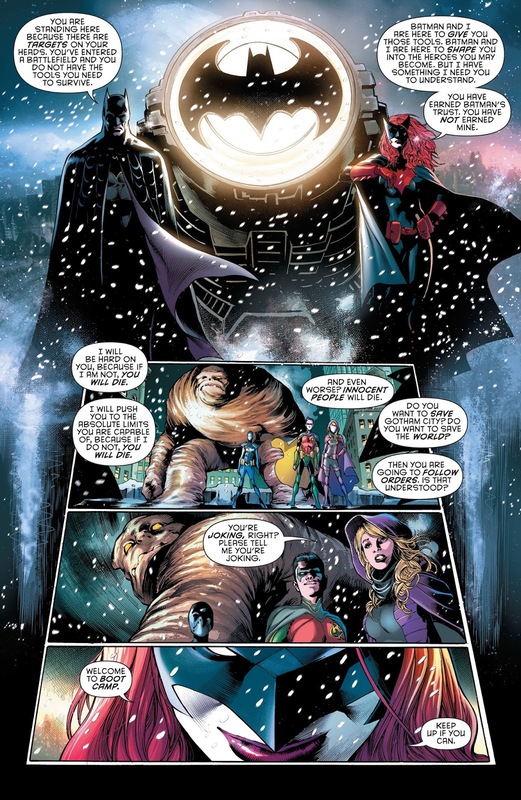 Batman and Batwoman will be responsible for training a group consisting of Red Robin (Tim Drake), Spoiler (Stephanie Brown), Orphan (Cassandra Cain) and Clayface (Basil Karlo). Tim is back to his red and green suit, reminiscing of his 90's famous uniform. He's not going to be a part of the Teen Titans for now and will have some good interaction with Spoiler, as he used to do in the good and old Chuck Dixon's years. Cassandra Cain is also a character who deserved a chance in this rebirth, but the most interesting addition to the team is Clayface. That was a villain I would never imagined as turning into a good guy, but I see lots of possibilities for this reluctant hero. Now, the best part of this issue: the jaw-dropping art. Eddy Barrows, Eber Ferreira and Adriano Lucas are fu****g talented dudes; there's just no better word to define it than a big fat cursing one. They delivered some of the best panels I've seen in recent comic books. 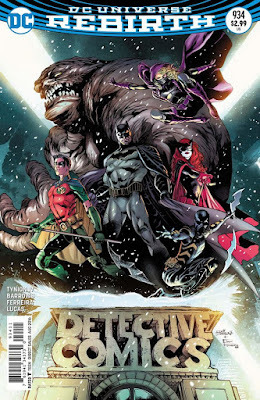 And is this promise of an exciting adventure with this phenomenal art that will keep me coming back twice a month for the new/old Detective Comics series!